Platform companies share similar characteristics in terms of products, reach, user growth, pivotability, operations, resources and M&A strategies at different stages of evolution. 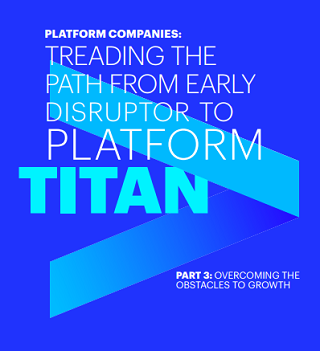 While operating in diverse sectors, Platform companies also face similar obstacles along their path to maturity. In our concluding installment, we define common challenges and seven key areas companies need to address to grow and expand successfully.